The BACN held its annual Autumn Aesthetic Conference on Thursday 8th and Friday 9th November 2018, and it was a pleasure for Cambridge Stratum to be in attendance. The two-day conference aims to educate nurses about the science, art, and the ethics of today’s aesthetic non-surgical practice, to encourage only the highest standards in the industry. The industry itself is moving away from surgical treatments, and towards non-surgical treatments – most likely due to the fact there is very little downtime and less risk. Practitioners are also recognising that they need to take more of a holistic approach, implementing a treatment plan than incorporates a combination of treatments for optimum results. Cambridge Stratum offers a wide range of energy based aesthetic equipment, so it was great to bring something different to the day and to inform nurses on the advantages of complementary energy based treatments. As well as showcasing our products, we delivered bespoke facial treatments with our best seller – the Stratum Synergy, which proved to be an exciting feature of the day. 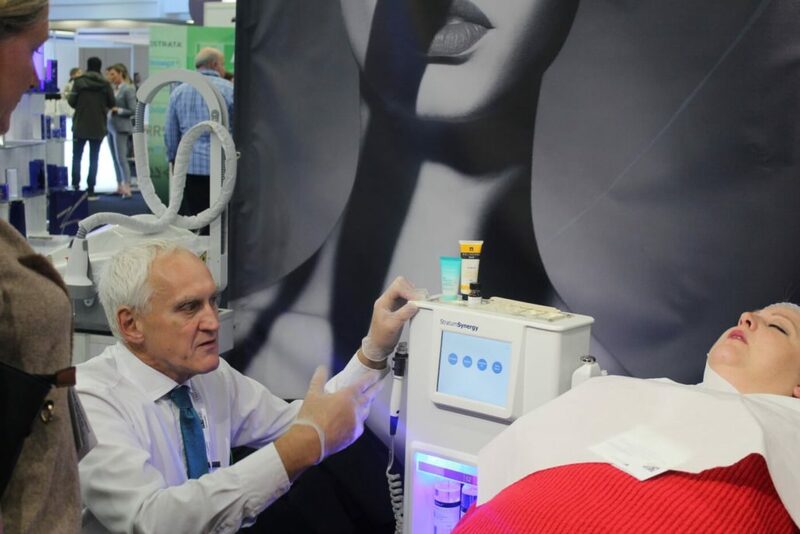 The total skin management platform not only portrayed its excellence when wanting to give clients a variety of different treatments, it also exemplified the excellent value in comparison to other machines currently on the market. We can’t wait to see you all at the next conference!